1. We had some metal braces and left over wood from the fences, so basically I lined them up, and screwed the wood together from behind. (What was so fabulous about using fence wood is that it is unfinished and imperfect, no distressing required. Yay!) 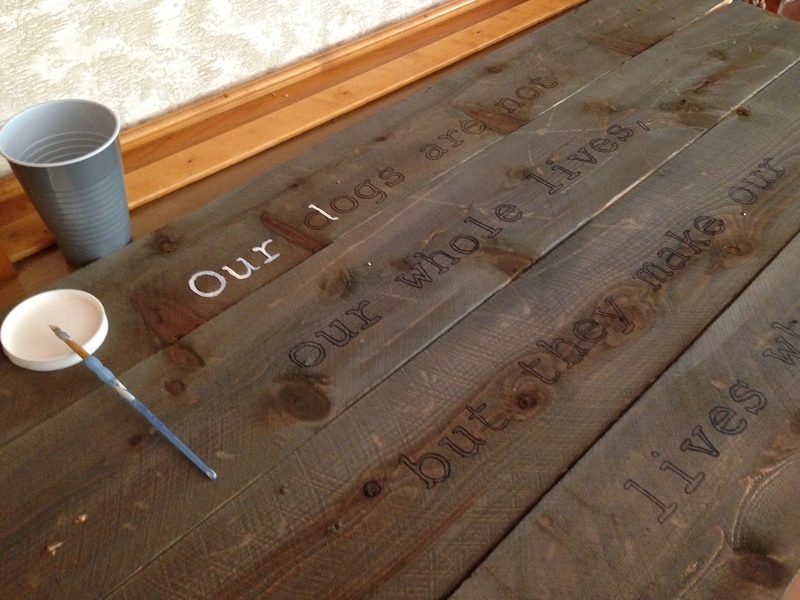 Then stained the wood with Minwax Wood finish stain in gray, to give it the look of driftwood. 2. Later I stole the hub’s projector from the mancave, used microsoft Word and a sharpie to stencil the writing. 3. Then with left over interior white paint, (Glidden pebble white) hand painted the stenciled writing. 4. Once dried, I added picture frame hardware and wire to the back, and DONE! 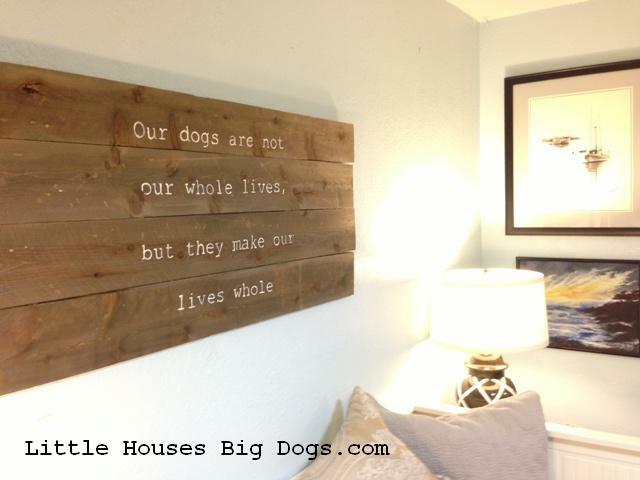 Wannabe- Driftwood Wall Art! Office/Guest room walls are completely decorated! Not bad for a freebie! 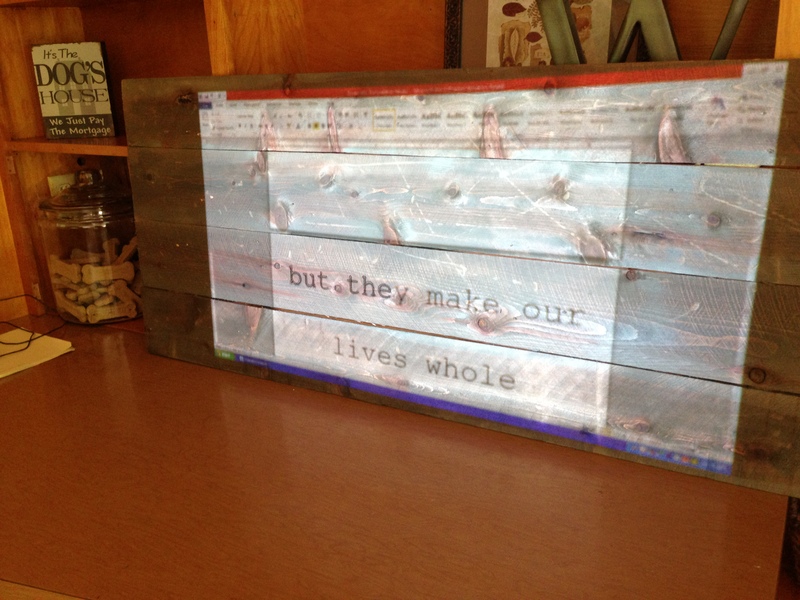 This entry was posted in Projects and tagged Ikea, Picture frame, Stencil, Wood, Wood finishing, Word by Tandra. Bookmark the permalink.